What is Amazon affiliate program and affiliate program in general? Amazon sells millions of products online through their Amazon shopping portal and offers commissions to people who promote their products through their affiliate program called Amazon affiliate program. They call it Amazon associate program instead of affiliate program. Affiliate programs are also called referral program, associate programs or sponsored programs. Companies will create a lot of sales force without spending a single pie through affiliate partnership programs. With the increased craze on on-line shopping, companies found an easy way of creating virtual shopping malls. These malls will not have any physical location except an online shopping portal selling products of many manufacturers by collecting a small commission for themselves, They then propagate their shopping portal by developing affiliate force. Affiliates are independent people or agencies having a website or blog of their own. In few cases the affiliates are just promoters of the affiliate links even without a personal website or blog. So far so easy it looks. But in practice it is very difficult. There are many difficulties to promote an affiliate link. Many countries offer Amazon associate program. To promote the affiliate links of Amazon program is a herculean task. You have to sign up for all affiliate programs from all countries and promote their links. Other problems with Amazon affiliate program is the life of their cookie. The cookie will be active only for 24 hours. That means the buyer should buy the product within 24 hours after they reach the amazon shopping portal through your blog’s affiliate link. Other wise you do not earn commission. Many other affiliate programs offer 30 to 60 days cookie. Amazon commission structure is slightly disappointing when compared to few highly paid affiliate programs. Amazon pays 44 to 8% commission on their product ranges where as some affiliate programs even pay 50% commissions. 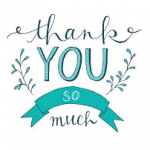 In Spite of above pitfalls, Amazon is definitely a wonderful associate program, easy to get accepted by the promoter and they have wonderful promotional tools. They have millions of products in their shopping portals and affiliate need not worry about security and commission Their sellers are Amazon verified and they have a 7 day money return policy without questions. They have a 128 encrypted payment gate ways highly secured and reliable, They have many payment options for the buyers and for the affiliates. But for the problem mentioned Amazon affiliate program is best revenue source for the blog owners. .
Let us now read and understand some Amazon reviews by other great blogging websites. WiKiHow recommends developing a free website or blog on platforms like WordPress. There is no cost involved purchasing self hosted domain or hosting. 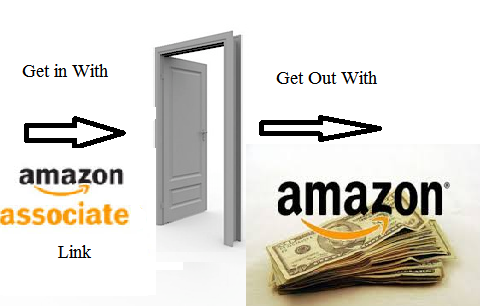 Promoting amazon associate links on this free website gets you extra income. It is worth a try. Source: How to Make Money With Amazon . Wendy in her blog ‘surviving after college‘ says that amazon affiliate program is highly fetching and profitable program for bloggers to earn decent extra income if you know hoe to make affiliate marketing. She also agrees with the low commission structure but confident that the conversion rate is high and further says that ‘not many companies have a conversion funnel as powerful as Amazon’s’. Promote the Amazon affiliate links only on relevant keyword search locations, meaning ‘promote the links when they visitor in a buying mood.